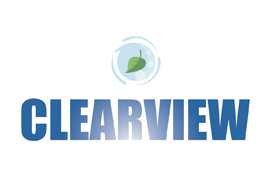 Clearview Cleaning Services was contracted to clean the University Leisure Centre and Restaurant, Limerick, Ireland. A key factor in deciding which cleaning approach to use was that the centre is open seven days a week and has a constant stream of visitors. We couldn't use chemicals so we tackled the cleaning job using the ThermaTech Superheated Water Cleaning System, as supplied by Restorative Techniques. For the most part, the desired results were achieved in a single pass with the ThermaTech operating at 140ᵒC and 80 Bar pump pressure, allowing us to treat the elevations quickly and efficiently. The areas of deeper, more stubborn staining required a second pass to lighten them to an acceptable level, but yielded very well after the substrate had cooled and dried from the first pass. Had the use of chemicals been permitted, it is very likely that we would have been able to remove more stains from the walls. However the ThermaTech system removed the majority of the dirt very easily and to the satisfaction of all parties. The coping stones on the walls cleaned up very well, as can be seen in the pictures. As a ThermaTech owner, I'm happy to say that it's gaining a good reputation in and around Limerick.